Master Cutlery FM-605 Scorpion Slayer Knife. 10" overall size. Stainless steel blade. 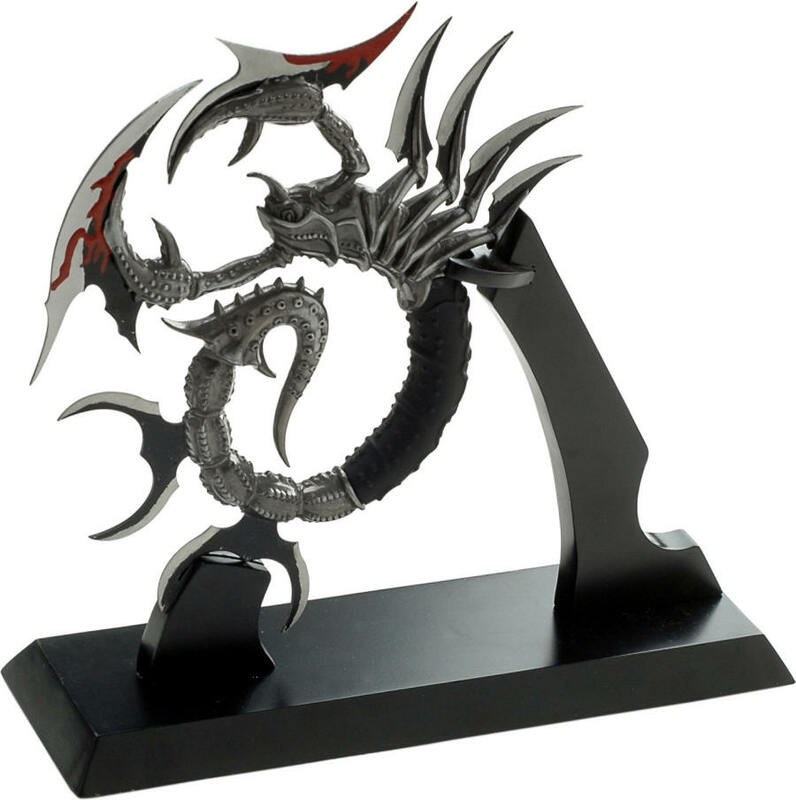 Dragon/scorpion zinc alloy design. Comes with custom wood display stand.